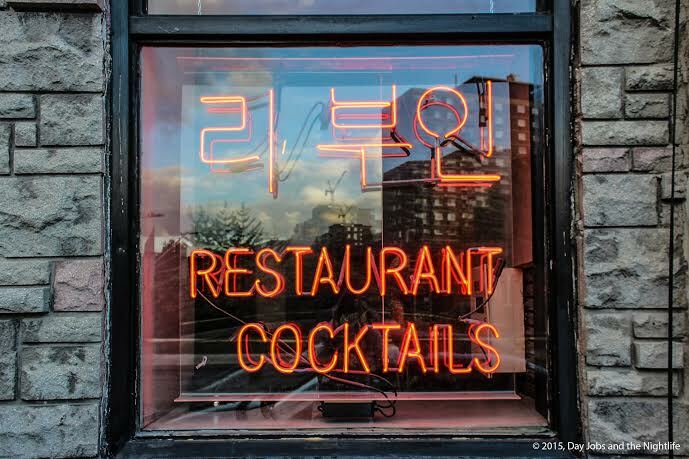 Ever since opening their doors, Mme Lee has been a strong draw in downtown Montreal. Located perfectly on Ontario between St-Laurent and St-Denis, the spectacularly designed bar boasts a fun menu, a great signature cocktail list and non-stop weekend parties featuring an in-house DJ. They also happen to be a great place for a weekday 5à7 where the party vibe is taken down a notch revealing a sophisticaed atmosphere everyone can enjoy. 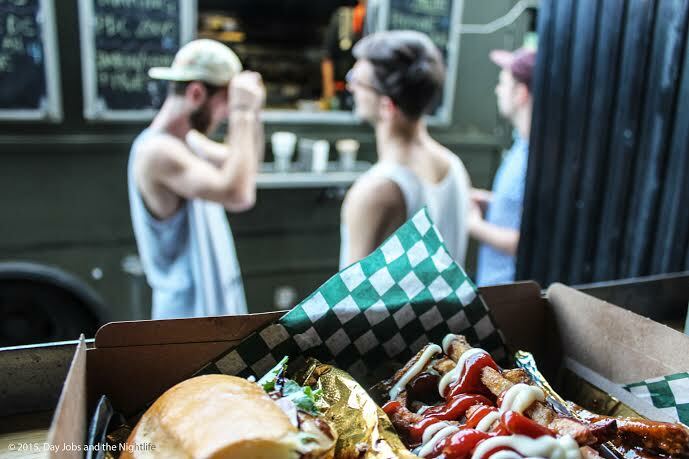 During the summer months, Mme Lee has teamed up with a series of our city’s best food trucks, offering clients a different experience each week. We dropped by Mme Lee last Thursday to check out the menu and the cocktails and it was worth every bite. 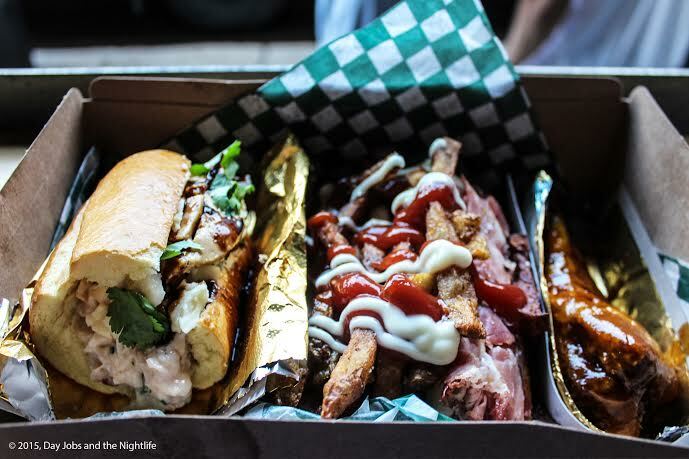 On the night we went, Pied-de-Cochon’s food truck was there to amp up their Thursday night with a mouth-watering selection from the iconic restaurant’s lauded food truck. Each Thursday a truck will be parked just in front of the bar from 5pm to 10pm where the large garage door windows open the bar onto the street. On Thursday’s, Mme Lee will also cook up some very interesting cocktails that will pair perfectly with the food truck du-jour. This was my first time trying the PDC food truck and let me tell you that their reputation for excellent food is well deserved. We tried the lobster slider, a delicious ham sandwich on a brioche bun that was dripping in butter and served with some of the best French fries I’ve ever tasted. We also tried their duck drumsticks and they were equally delicious. The menu also features PDC’s famous fois gras poutine and much more. 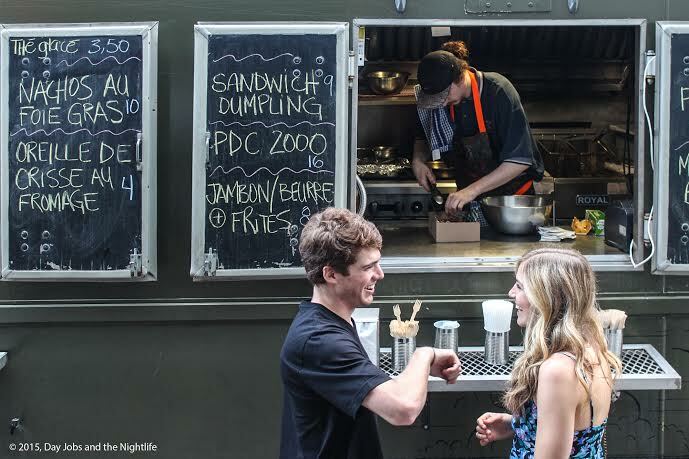 Food trucks have become an integral part of Montreal’s vibrant foodie scene. 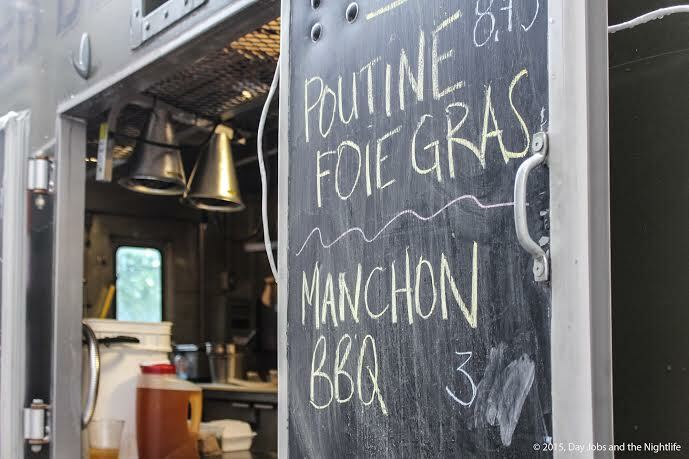 For those visiting Montreal this summer, Mme Lee and their food truck of the week is a wonderful initiation and a great way to experience how we do summer in Montreal. For the Montrealer’s who love street food and great cocktails, this is a must-try during the summer.